'From The Vault' is a new series of live concerts from The Rolling Stones archive which have just been given their first official releases. These are simultaneous releases of full-length, two and a half hour concerts on DVD, DVD+2CD and DVD+3LP. They have been carefully restored and the sound has been newly mixed by the legendary Bob Clearmountain and the DVD is available in Dolby Digital Stereo, Dolby Digital 5.1 and DTS Surround Sound; frankly, and in short, they sound superb. 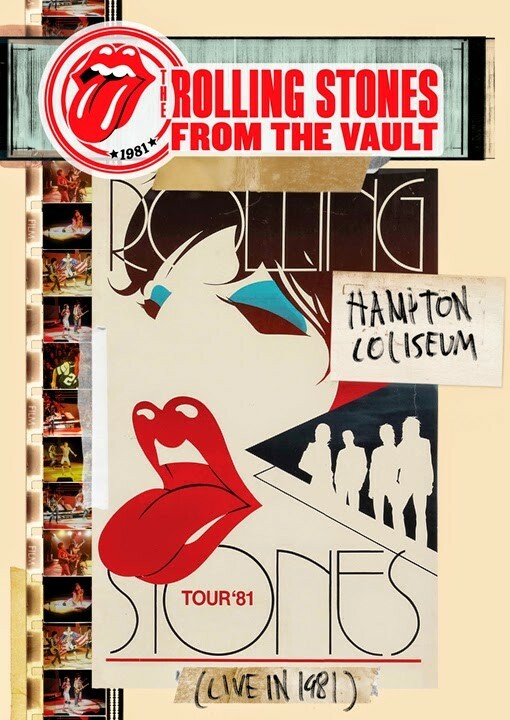 The first of the releases is 'From The Vault - Hampton Coliseum – Live in 1981' which was filmed at the end of the RS American Tour in support of the critically and commercially successful 'Tattoo You' album. This was the most successful tour of that year taking a then record fifty million dollars in ticket sales. There were fifty dates on the tour which ran from Philadelphia at the end of September through to Hampton, Virginia on the 18th and 19th of December. The show on December 18th, which was also Keith Richards' birthday, was the first ever music concert to be broadcast on television as a pay-per-view event. The beginning starts with pre-show footage before the band hit the stage and open with 'Under My Thumb'. It is also quite amusing to see Ronnie Wood and Richards smoking, quite literally, whilst performing. Highlights? Well the latter will depend on your own particular Stones favourites; for me personally 'Shattered', 'Miss You', 'Let's Spend The Night Together', 'Beast Of Burden', 'Tumbling Dice', Brown Sugar', 'Start Me Up' and 'Jumpin' Jack Flash'. Watch out for when Richards really does turn his guitar into an axe when an over-eager fan runs on to the stage during the band's encore '(I Can't Get No) Satisfaction'. 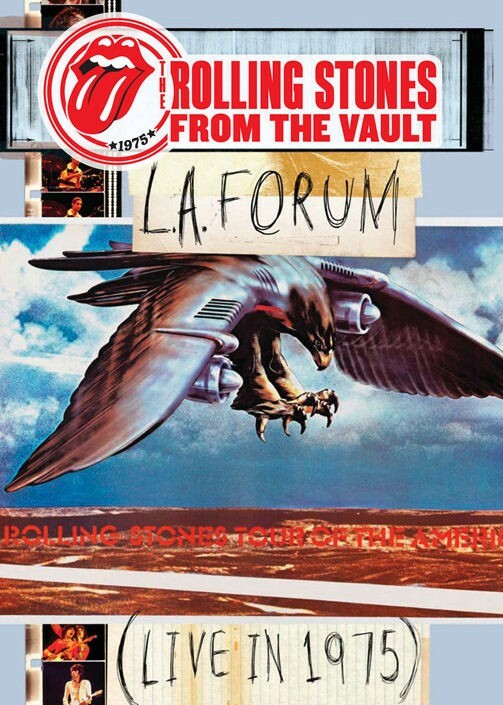 The second release 'From The Vault – L.A. Forum – Live In 1975' was recorded on the fourth of a five night stint at the L.A. Forum and was part of their 'Tour Of The Americas 1975' and the band's first tour with new guitarist Wood. This show is not as visual and very dark in comparison with the vibrant colours of the 1981 Hampton Coliseum show, but the sound is equally as good although the band are a lot rawer and not as polished as it became over the years. For me personally, there is a better set-list, including the classics 'Honky Tonk Women', 'Gimme Shelter', 'You Can't Always Get What You Want', 'Tumbling Dice', 'It's Only Rock 'N' Roll', 'Angie', 'Wild Horses' 'Brown Sugar', 'Midnight Rambler', 'Street Fighting Man' and the brilliant 'Sympathy For The Devil'. These DVD's will appeal to old and new fans alike, an essential addition to the collections of the former and a birds-eye insight into what has made The Rolling Stones such an enduring phenomenon over the years for the latter.